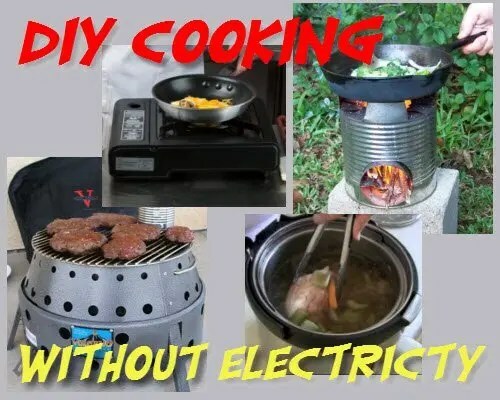 There are several ways to cook food without electricity and some of them require storing things like charcoal. Others just run right off the sun or fuel like twigs and leaves. I have the bottom stove pictured and it is fantastic. One thing to keep in mind is that you will use a lot of fuel if you are using twigs. I collect twigs at a nearby park and keep them in buckets I have that don’t have lids. 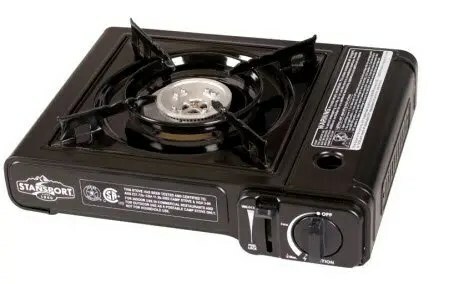 This stove can be used with charcoal too which makes it a duel fuel option. 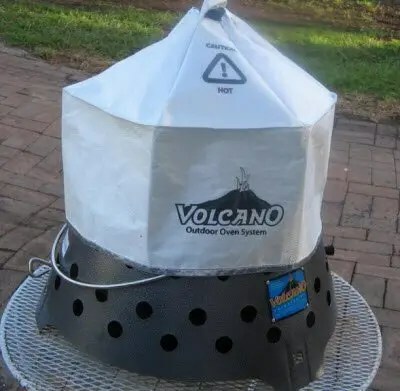 The Volcano stove is a great resource because of all the ways you can use it. This stove allows you to use propane, charcoal or sticks too. You can find them at their own website (link in line above), Amazon, or various other places ranging in price from $150 to $160. Here it is on Overstock. 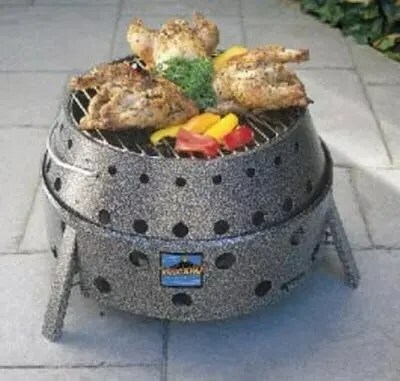 This stove can also be used as a mini BBQ! 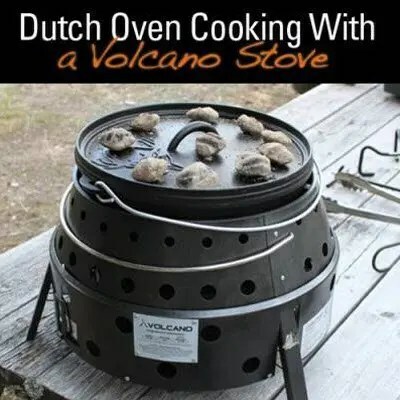 The design is very sturdy and can support a Dutch oven which turns this baby into a great thermal cooker. 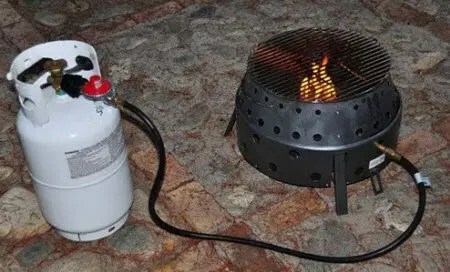 There is a cover that you can buy separately for around $30 so it will cook with much less fuel than open charcoal. You can bake bread in your Dutch oven using this method. You cannot go wrong with a sun oven and there are many ways to get what you want. You can buy one which will range from $100 to $500 depending on what type you get and the accessories. A great way to use this type of oven is by also having black ceramic pots with lids because these will conduct heat better. A newer sun oven cooking is the Go Sun which is very compact and uses a tube to hold your food. There are different sizes of this. It looks amazing. 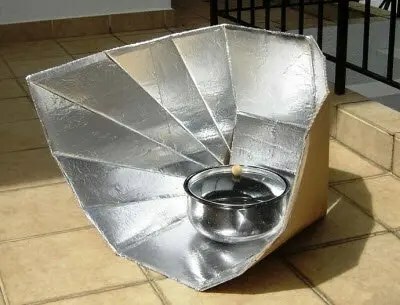 You can even make your own sun oven, which I have done. It is very important to make sure your reflective surface is very shiny! Our oven would only get up to 250 degrees until we changes the reflective panels. Do your research on this one because if you do it right, you can cook in the winter with these and they’re just like having a regular oven! Most of these must be turned every half hour to hour to get direct sunlight. 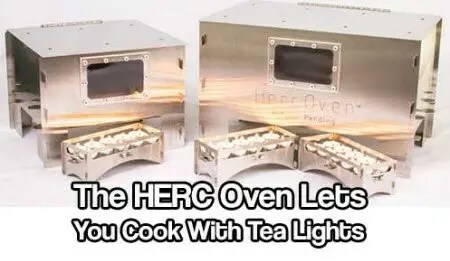 These can be purchased for around $300 and are called HERC ovens but you can also make your own! Using a toaster oven and removing the elements, and cutting off the plug. Drill a few holes in the back wall and line the very bottom with tea lights, usually 12 does the trick. If you attach a good sized piece of an old baking stone to the top of the oven it will cook more evenly but I have had good luck with just mine without it. Bake only on the top rack, otherwise things burn easily. You can find glass baking dishes at Wal-Mart, the Pyrex storage dishes will work. Size wise, three of them fit nicely into the oven. I found a 6 muffin cast iron pan that bakes wonderfully and fits well. At Smith and Edwards store in Ogden, UT they even have a cookie sheet that is small enough to fit into this fun oven. Tea lights are inexpensive to get at Wal-Mart as well. Get a Rubbermaid that will fit your tea light oven and all your store tea lights and will protect it when traveling. I store at least 1000 tea lights for when I will need them; this fuel source does not expire or go bad, which is nice. If you have to leave your home pretty quickly, make sure you grab both of your oven racks! These will come in handy for open fire cooking needs. A cast iron pan is also very good for this chore. Regular pans will get black really quickly and aluminum pans do not distribute heat very well. If you do use a regular pan keep it higher from the flames and coat it in dish soap on the bottom ,that is exposed to the fire, to make for easy clean up when you are done. Campfire cooking is great for tin foil dinners. Consider storing tin foil as one of your emergency storage items. Cooking with a propane stove is wonderful in that it’s a fuel that responds instantly. No waiting for a fire to be built. Propane stoves are easy to find new or used. And propane tanks, small and bulk, are readily available at most stores. You must use this stove outdoors where there is plenty of ventilation. You will want to store several cans of propane for this stove. 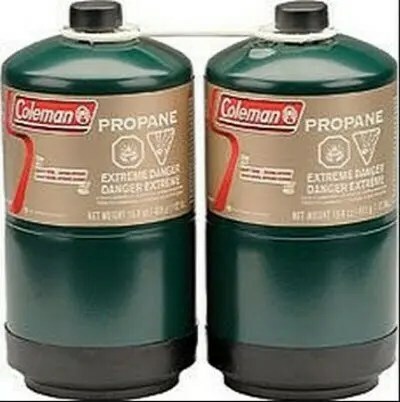 I’ve found the 16 ounce Propane canisters (like pictured below) cheapest at Walmart for less than $3. a can. But they range in price from $3 to $5. per can. For big family meals, there’s the Camp Chef double burner propane stove which has it’s own stand and can be adjusted for uneven ground. This require a bulk tank. You can also put a griddle and use half or both side for things like pancakes. The best thing about butane stoves is that you can cook indoors with them, unlike propane stoves. They are fairly cheap as well. They range from $20 to $30. Be careful of online prices that are low because they usually jump up after shipping is added. Butane canisters are not as easy to find as propane, but still readily available. One 8 oz. butane canister will cook 14 meals, roughly, depending on how much it’s used for each meal. That is two weeks of dinner. You will need to store butane canisters and you can order them by the case on amazon, they are roughly $2 a can. 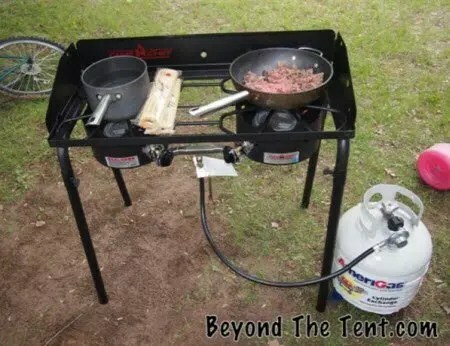 This is a great option because you can cook inside of your tent without having to worry so much about ventilation. 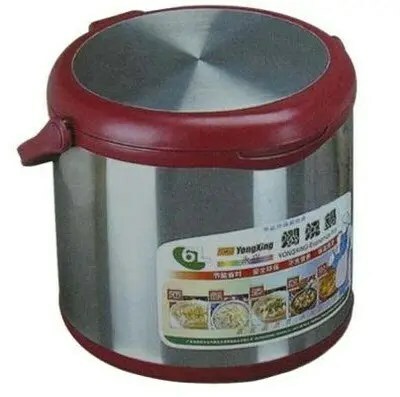 This cooking source would be great with your thermal cooker. Thermal cooking is like using a slow cooker without the need to plug it in. First, the food must be heated to a boiling point on a propane or butane stove. Once it reaches a boiling point for the allotted time, then it can be placed in your thermal cooker and continue to cook throughout the day like a crock pot does. There are many ways to accomplish this method of cooking too. You can buy them or even make your own. Saratoga Jacks is the most well known thermal cooker and they cost around $110. unless you find a special sale price. I have a knock off one from the Saratoga jacks and I got it from Amazon for $54 which was a great deal! It works really well and I love it! They come in different sizes so be sure you know how much food it will hold for your needs. You can also buy a Wonderbag for thermal cooking or make one yourself. You can even find YouTube Wonder Oven Tutorials to help you. A Hay Box is another method of making your own thermal cooker. Don’t forget that you will need a single burner propane or butane stove top and you need to store the green propane (or butane) canisters for this method. They say propane only lasts for 1 year but I have some canisters that I have had for a few years and they still work so I think “they “lie. 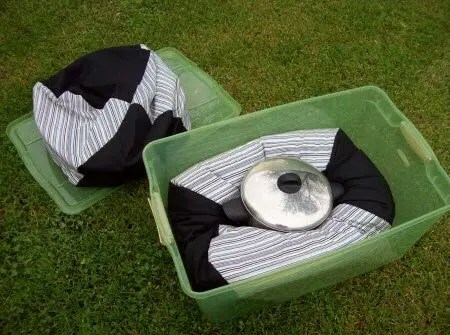 You can also just use two old bean bags and a laundry basket or Rubbermaid. It’s important that your pot remain fully covered in the insulating material so it can continue to cook. If you do make a homemade version, I suggest you test it out with a couple different types of foods. You can use a Dutch oven in a few ways which makes it quite nice to have. The downfall is that they are heavy. I recommend having a zippered storage container which I found on amazon. The feet bust through cardboard boxes pretty easily and the storage containers you can get have handles making them very easy to carry. 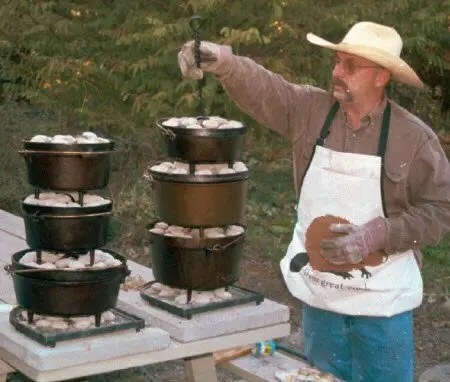 The bonus to having Dutch ovens is that to clean one you can simple turn it over on top of your campfire! Let the fire burn out all of the leftover food and wipe it down and re-season with a little bit of olive oil. I love this about Dutch oven cooking because clean up when remote camping can be a bummer and a lot of work. When you choose an oven make sure you have the concave lid and handle for versatile cooking and easy handling. You can also cook directly over a fire or use charcoal. 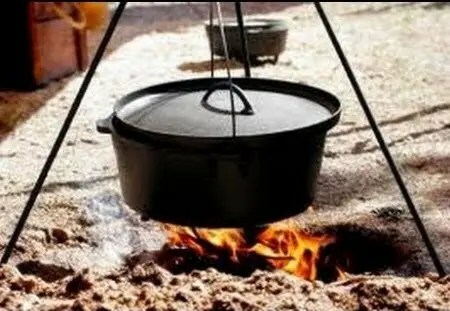 You can cook on the ground or hang your Dutch oven. You will need a lid lifter (I use a hammer) and an oven mitt! I also have a chimney which allows me to start my coals pretty fast. Obtaining a metal or steel plate to set your ovens on is a great idea too as they can be hazardous to tree roots. 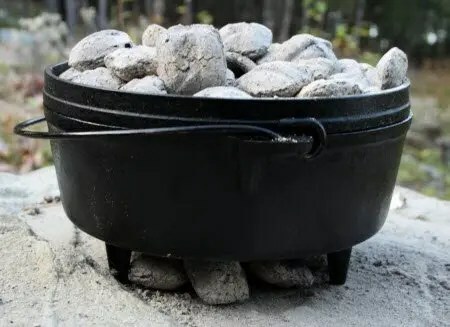 You can even stack Dutch ovens to get more out of your coals! And cook dinner and desert at the same time. 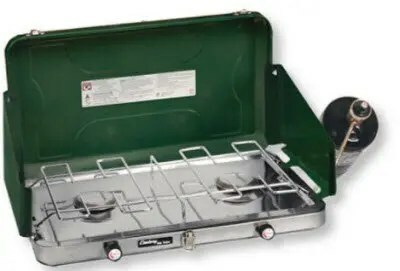 The Camp Oven by Coleman is meant to sit on top of your propane camp stove. It can be used for baking bread, muffins, rolls, etc. 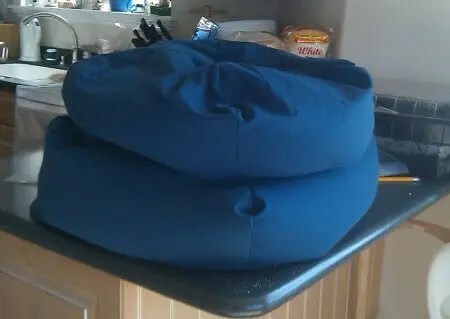 Then it can also fold down flat for storage. Cost is around $30 to $40. If you have a tent stove that has a flu going up through the ceiling of your tent, you can get an oven that attaches right to the flu/chimney. This oven is heated from the smoke of your tent stove. You can find tent stoves, depending on the size and quality you want, ranging in price from about $100 up to $480. at places like Cabelas, Scheels and most large sports places that sell tents. Also online at Cylinder Stoves, Davis Tent, Walltentshop, and of course, Amazon. 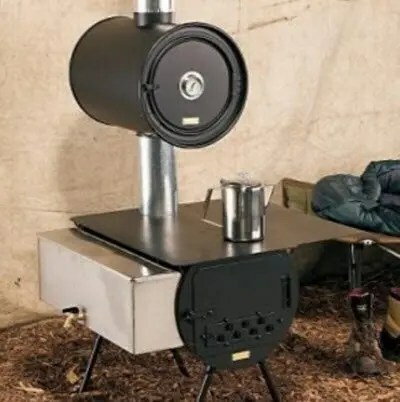 In this way you can cook on top of your tent stove, while also baking inside the tent stove oven which is a great way to stretch the use of your wood burning. 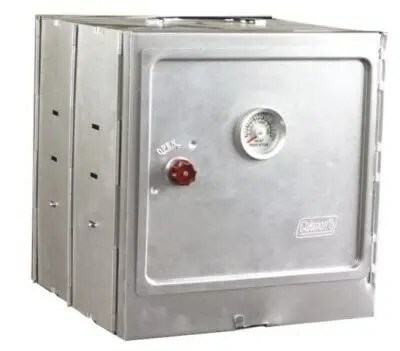 Ovens cost around $325 to $350 at Cylinder Stoves or Amazon. 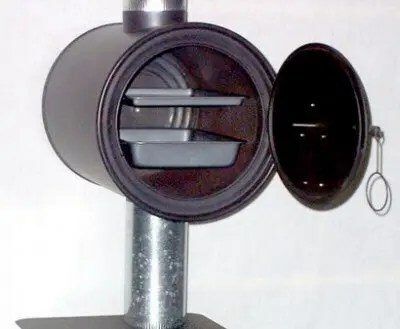 There is a brand new rocket stove on the market, My Rocket Stoven. By attaching the Cylinder Stoves chimney oven on top, it allows you to cook efficiently, using less fuel, and is the only rocket stove that provides the flexibility of cooking on a stove top, baking in an oven, and even doing both at the same time. On a sunny day, a sun oven is a great method of cooking. But on a cloudy day, you need other cooking options. That is when My Rocket Stoven is so valuable. It works whether it is sunny or cloudy, windy or calm. It is much cleaner than cooking over a campfire. Plus it is safer and uses less wood.